Why Great Looking Windowsills Makes a Home More Stylish! You need attention-grabbing decor? Do you need something that will make your home so chic, so posh, that it will make your competitors jealous? But what to do? 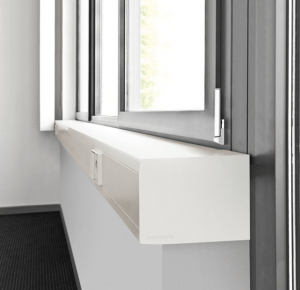 Look no further, we’ve found the ultimate solution: great looking window sills! When choosing the correct window sill for your business, think of this: it is a matter of turning the plain, old, and necessary, into the stylish, new, and desired. Why stick to the boring, when you have style at your disposal? We all know that marble adds an immense amount of flavor to a household, whether it is found on countertops or floors. So, to answer the previous inquiry, yes, window sills! You would be surprised how the smallest change affects the ultimate “look” of a home. That is, people pay attention to detail, and so should you. Installing stone, or marble window sills in replacement of the traditional, every day material will undoubtedly give you that upgrade in style that you have been so set on providing. Made up of fossilized stones and sediments that have been compacted together over thousands of years, marble has proven itself to last time after time. Metamorphic rock, that is the scientific term used to describe the type of stone marble truly is, was once extremely difficult to extract. Processes such as drilling and explosives were, and still are, used to acquire this stone. But, thanks to modern technological advancements, it is now within reach, right at your fingertips. Natural stone is first extracted directly from the earth. Not shortly after, then being transported to specialize manufacturing plants. The marble is cut by high quality machinery. These include saws and hydraulic presses that utilize a process known as wire sawing to manage their size. It makes them into the practical window sill that you need for your next building project. But, the work is still not complete. In order to make them into the recognizable marble slabs, they must go through the process of polishing and sealing that is turned into exquisite pieces of stone. Using finely graded, diamond encrusted abrasive pads, the stone slabs are wore down, giving them the up-scale look that is desired. That’s a thumbs-up for you, science! Many people seem to have the idea that because a window sill is seemingly small in nature, it is unimportant and should be overlooked. Now, it is certain that a great end result comes in attention to detail. That is, when building a stylish home, one must take into account all of the factors that come with the process. A cohesive effort must be made to ensure a home’s snazzy appeal. Piece by piece, the home will start to come together. You will see how the added touch of marble window sills gives it a whole new feel. It will be unrecognizable! See, whether it is Emperador Brown or Black Granite, the window sill of your choice will not go unnoticed. Yes, the image of your company is important, thus, the product that you put out is just the same. To make things clearer, your image is strongly built by the projects you produce! When choosing the materials necessary to include in your masterpiece, you must take into account your projected image. To put it simply, a stylish high quality home should not be pieced together by mediocre materials that are easily damaged. It just doesn’t add up. And so, marble is the way to go! Undeniably timeless, marble window sills scream elegance; they exude an aura of style and thoughtfulness, just like marble floors do. Remember, size does not matter! Also, one has to consider the durability of the material being used. Naturally, marble is a long-lasting stone, ready to take on the wear and tear of everyday exposure. Stylish and reliable, that is the image you want to display and conserve! Great looking window sills are applicable to any style of the home. Whether it can be an antique or minimalistic modern look that you are striving for in your next feat, marble window sills are sure to prove themselves to be key pieces of the puzzle. This stone comes in an array of variations; being so, you can choose one that is best fitting to your decor needs! For instance, the Pure White Thazoz is a clean cut look–with its characterizing feature, the color white, can be used in numerous projects. Think of it as the “go-to” material–truly, an all around all-star! But, let’s not forget about our other options: Crema Sahara Marfil and Travertine. These two have an underlying beige color. They are two marble variations that account for versatility in your upcoming project. In today’s world of business, especially in construction, it is imperative to attempt to optimize the best of your materials. With window sills that prove to be useful for various homes, and continue to be sophisticated, you cannot go wrong. When thinking of how to make your project chic, don’t forget about window sills. They are surely a great addition to your style of choice. It’s true when they say, a little thought, can go a long way. Here at Stonexchange, we offer an array of options for you to choose from. It may be a little hard to pick! Make sure to contact us about any inquiries you may have. You can even give us a call at 1-305-731-2400 or contact us online. We are here to help you make your projects, the best ones on the block!